Record Player Pizza Cutter « Gluttoner: You gonna eat that? This DJ ain’t gonna be eating no unsliced pizza, dawg. 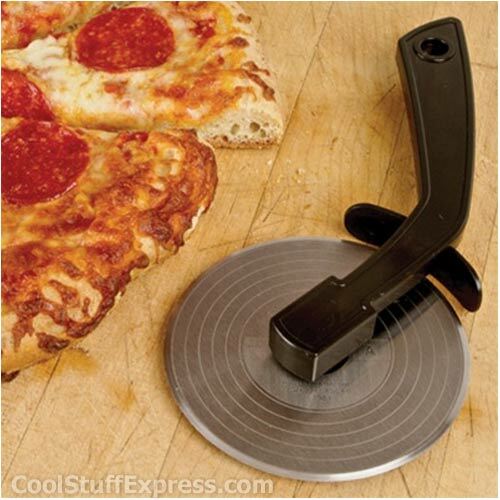 Slice that tastiness up with the Record Player Pizza Cutter while rocking to the dope beats I’m laying down. You know I’ve got calls made to change the name to Turntable Pizza Cutter, cause that’s how I roll Broseph. This dishwasher safe stainless steel pizza cutter will be playing a cheesy song in your mouth called nom nom with pepperoni. Have to admit this is pretty cool!